Visually looks a lot like DOOM 2016. It seems to be inspired by Alien Isolation : "find the Keycard in the medical bay"... Quite similar to the objective on the fitfh mission of AI. Anyway, the game looks great, that's a shame the framerate isn't smooth. 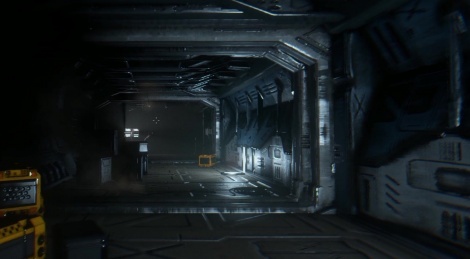 Nothing comes close to Alien Isolation in terms of gameplay in this genre. I loved Soma's atmosphere tho. I will try this game still. I think I'm gonna have to try this game, I really liked the videos, the atmosphere is great and I love exploration so it seems like my kind of game.